Principal Cast : Chris Pine, Alec Baldwin, Jude Law, Isla Fisher, Hugh Jackman, Dakota Goyo. 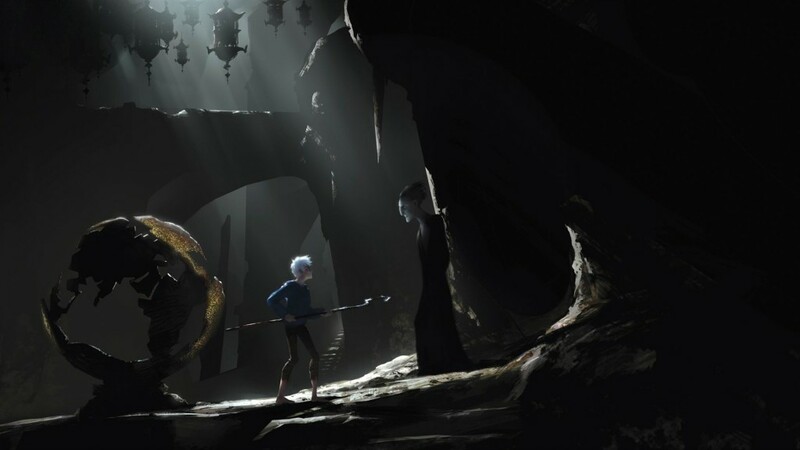 Synopsis: A young Jack Frost bands together with a group of legendary creatures to battle the forces of The Boogeyman from taking over the dreams of children everywhere. What we think : Dazzling visuals cannot overcome a somewhat trite sensibility of storytelling, and neither can an otherwise terrific cast overcome some clunky, awkwardly scripted dialogue. It’s hard to determine exactly where this film fails to capture the wonder it so desperately seeks, but everything about it – from characters, plot and even plot twists – just falls a little flat. Which is a shame, because it’s certainly one of the better animated films to come along in a while. 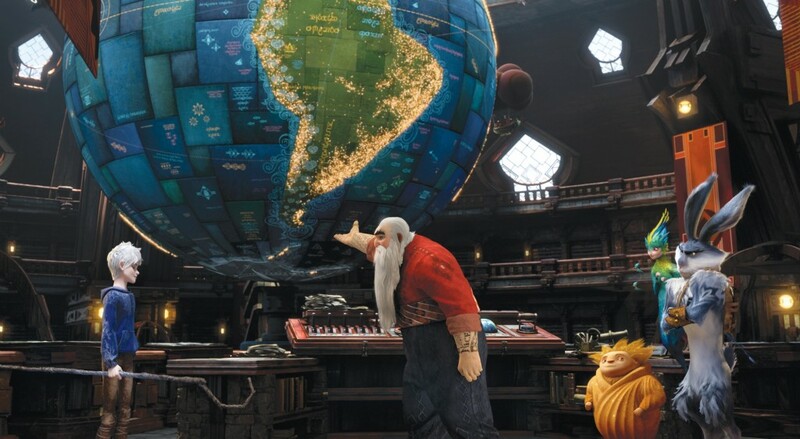 Not suitable for younger kids (another shame, because the films’ demographic is probably the younger tots anyway) and a little underwhelming for discerning adults, Rise Of The Guardians will entertain through sheer impetus, but not a lot else. With a deficit of talking cars, fish and toys getting about the cineplexes over the last 18 months, animated films have resorted to a plethora of human characters to bring audiences back to the big screen. 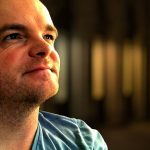 From a giant wrecking computer game creation, to a red-headed headstrong Scottish lass – human animated character have dominated the landscape this year. Trotting out the “magical creatures” bandwagon is Rise Of The Guardians, a film playing on the concept of the mythical creatures – Santa, the Tooth Fairy, The Easter Bunny et al – being real, and reliant on children to believe in them in order to exist. No, it’s not original (didn’t we see some similar concepts in The Santa Clause?) but Dreamworks Animation’s breakneck paced, attention deficit disordered film about said mythical beings tries to overcome any (or many) of its shortcomings with a hodgepodge of humor, energy and an at-times misplaced underpinning of emotional context that never quite works – it’s a damn pretty wrapping, but on closer inspection the gift will most likely be returned to the store. Cool! This tree has ice-ink!! Jack Frost (voice of Chris Pine) has been flitting about the Earth for 300 years creating icy cold mischief wherever he goes; he cannot be seen by humans, lacks any knowledge about his past prior to the Man In The Moon creating him, and seeks to understand exactly why he was created in the first place. So when Pitch Black (Jude Law) hatches a plan to rid the world of all mythical creatures by making all children not believe in them, Frost is called to action by the Big Four: Santa (Alec Baldwin), the Tooth Fairy (Isla Fisher), the Easter Bunny (Hugh Jackman) and Sandman. Pitch Black wants to ruin the holidays and special events each of them provides – the Tooth Fairy leaving money beneath your pillow, the Easter Bunny leaving eggs scattered throughout the world, and Santa bringing presents to all the kiddies – in order to sap their strength, strength provided by the belief of children. 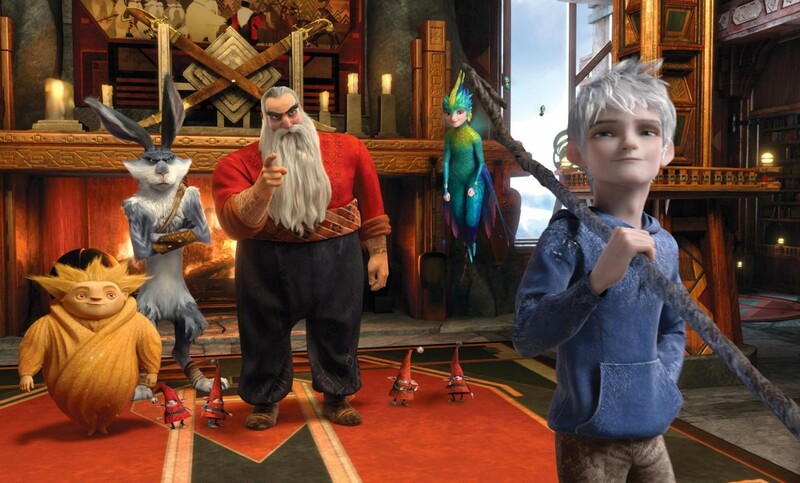 Jack Frost, called to be a Guardian, initially doubts himself, but when the chance comes to discover more about his past, he decides to join Santa and the gang to fight the literal incarnation of The Boogeyman. ….Do you know the Muffin Man? 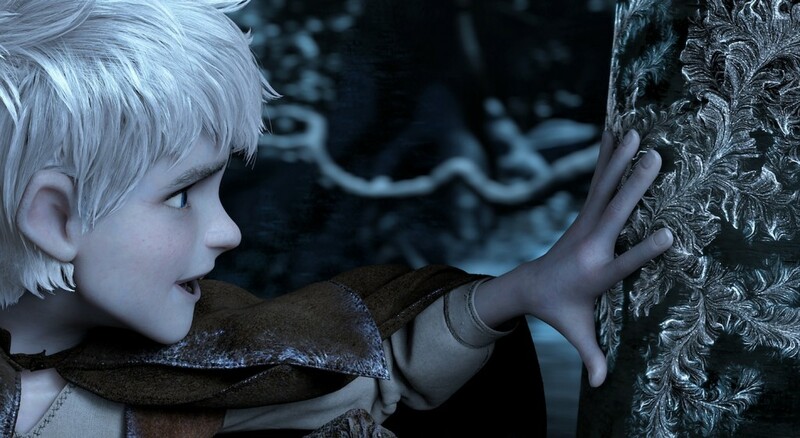 Rise Of The Guardians is, if nothing else, an entertaining film in the most superficial ways. The story, indeed the central character, lacks a sense of genuine-ness (don’t know that the word exists, but I’m inventing it anyway) that robs the story of crucial emotional weight. Jack Frost isn’t the most popular of mythical creatures (which is ironic considering the context he has within the story) and the investment I had with him as a character was sadly lacking, although one can’t fault the writers for trying to imbue him with soul – Chris Pine’s winning vocal performance isn’t bad either, so it’s not that – but I just felt ambivalence to both his plight, and indeed the plight of all the imaginary characters the film. The story itself isn’t bad, per se, but as an adult I think I was just a little over the whole “believe in magic” thing when it’s so obvious the film’s focus is on bedazzling action and animation. Characters don’t feel as fresh or infectious as they should, lacking a spark of originality and instead relying on a sense of unrewarded reverence for the hallowed nature of the inhabitants of the world presented. I tell you , Google stole their idea from ME!!! While the script lacks an even keel of emotion (not for lack of trying) and can’t quite bring the focus of what its trying to say into sharp relief all the time, Guardians‘ saving grace is in its stunning animation. When the story isn’t moving forward, or at least if it’s crabbing sideways through subplots and the occasional ill-conceived development (the baby tooth fairies – slightly creepy, to be honest!) younger eyes will be stuck to the screen thanks to a breathless, fill-the-screen-with-everything sense of visual jackhammering. It’s the kind of film you need to watch probably three or four times to truly take in the level of detail the animators have inserted into nearly every frame of the movie. Guardians is, in many respects, a far better film visually than even Pixar’s Brave, and that’s saying a lot, because that film was simply brilliant visually. It’s just a pity the story and characters can’t quite salvage something real from it all. No, for the last time, this isn’t Willy Wonka’s Chocolate Factory… although I can understand the confusion…. From a performance perspective, the voice cast are not only tremendously talented, but they do a really good job of essaying their characters. Chris Pine I already mentioned: his work as Jack Frost brings something impish, something grounded in a lost humanity, and it’s great to watch. Alec Baldwin is a scream as the Russkie St Nick, a jolly inked dude with a pair of swords ready to do battle (I’d hate to wonder how even the geniuses at Pixar might have tried to sneak a sword-wielding Santa through the boardroom boys at Disney HQ! ), while Isla Fisher is commendably solid (if unremarkable) as the Tooth Fairy. Hugh Jackman’s Easter Bunny provides the bulk of the laughs, most of which are derived from his incredibly cliched Australian dialogue (seriously America, the only people who say “strewth” any more are.. well…. kids watching too much Skippy The Bush Kangaroo), while Jude Law’s malevolent, kinda-like-Hades-from-Disney’s-Hercules Pitch Black goes for broke and more often than not, succeeds. The problem with most of the performances is that they’re forced to deliver some incredibly clunky, wooden and trite dialogue at times of crucial story pivot points. When the film focuses on action and the “quest” beats, it works well and things click; when the film tries to give us a bit of heart, it’s when the awkwardness takes hold. Perhaps I’m just getting cynical in my old age, but much of what I was hearing just felt like a committee of screenwriters behind the scenes trying to shoehorn in as many Message For The Children moments as they possibly could. I told you to clean your room, but would you listen? Anyone who walks into Rise Of The Guardians half-way through might think they’re seeing a better film than they are in reality. 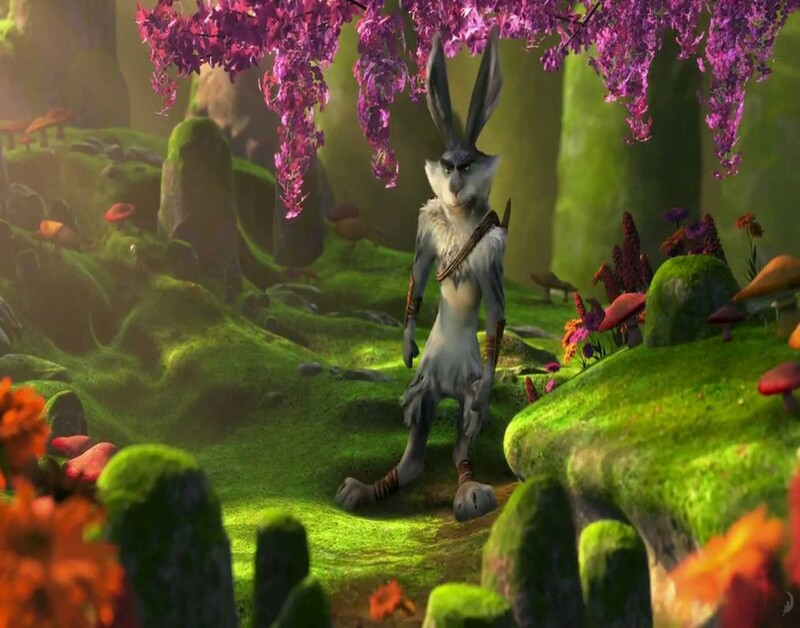 The film’s sense of dazzling, entertainment-at-all-costs style, and frenetic, breakneck paced humor and action overpower any semblance of nuance and heart (a sidebar – a film which gets the balance right is Arthur Christmas, if you get a chance to see it) ultimately leaving older viewers a little “meh” about it all. Young tots will either be too busy trying to take it all in, or scared pantsless by the darker elements of the film’s story, but those with an ability to see past the pretty lights, cool visual effects and freeze-frame worthy action sequences will find the film a little on the thin side, and that’s the real shame of it all. All that energy, all that creativity in character and animation, and it’s undone by something a computer can’t bring to the game – heart. I agree that the story is lacking, especially in the originality when you have such great visuals. But still a solid Christmas flick. I much preferred Arthur Christmas, but this one was fun. I'm sure my kids will appreciate it in years to come, but it won't have much re-watch value for me. Good review Rod. It's a fine movie for kids, however, the older ones watching this may be a little lost as there isn't much humor or charm. It's a little too serious for its own good, but hey, so be it! It was fun. Glad you liked it Dan, thanks for dropping in!! Well, hmmmm. I have to admit it has been a few since I watched this one, and as what I'm watching at the time often seeps into the films around them, and as I recall they were all pretty bad, I actually liked this one considerably more than you and the others here. I'm not a big animated feature aficionado so that is either a hindrance or a benefit (I'm lead to believe in the films favor) so consequently I found some of the elements more refreshing, namely the darker tones and oft remiss pagan themes and inferences. This film stuck out to me, wasn't at all unoriginal, and as far as the story my complaint would be that while it was pretty straightforward to an older audience I would think younger tots might get lost, even confused. Judt wanted to pick up on that point you made about the pagan themes – this film did strike me as unique in this regard, in that it didn't go with the "tried and true" versions of the characters, instead slanting things towards the characetrs as they originated. This, particularly, was pleasing (especially the Santa Claus character) and allowed for a less familiar understanding of what was going on with whom. Yeah, you couldn't accuse Rise Of The Guardians of being "layered" in any sense, because I think it wears its motives and heart right out there on its sleeve. And I agree, there's no comparison between this and even the lesser of Pixar's output, but then, films should at least be striving to reach that highwater mark.